There is something almost fantastical and magical about Seahorses. They have a majestic quality that makes them a very appealing addition to a saltwater aquarium. However, let me warn you that while Seahorses are nice to look at, they are--at least according to my experiences--very difficult to care for and maintain. 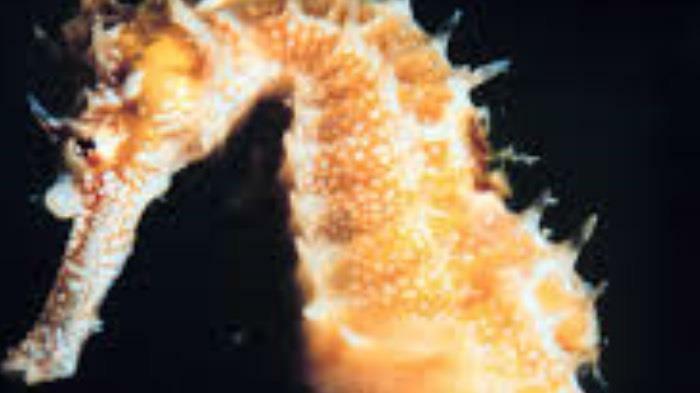 Seahorse are beautiful and very enjoyable to watch, but they are extremely fragile. They require very specific tank and water requirements and are prone to illness and a short life span. In a years time, in the aquarium that I helped to maintain and care for, we had 5 seahorses at various times and all died well within a month. They seemed to be easily susceptible to an illness that our aquarium professional called the "Ick". Our Seahorses were rather difficult to feed and required a different type of food then that of the other fish in our tank, which complicated feeding times as it was nearly impossible to keep the other fish from consuming food intended for our Seahorses. Seahorses are very friendly and non-aggressive however, the same can not be said of other fishes interactions with them. I observed on many occasions generally non-aggressive fish showing aggression towards our Seahorses. I once asked our aquarium professional and she informed me that Seahorses are easy targets and are often "picked on" in many of the aquariums she assisted with. So this does not seem entirely one sided, I would like to add that our Seahorses where almost always visible and highly active and very enjoyable to watch. Overall, I can completely see the appeal of having Seahorses in an aquarium, as I said earlier, they have a very majestic presence about them, but ultimately they are a prime example of the negative outweighing the positive.